Many of us have hidden gems in our wardrobes. Items that if we only knew how to get more out of them, we could enjoy for many more years to come. Perhaps these are items that have come from our past lives – good quality clothing that just don’t suit our lives, our bodies, our personalities or our style anymore. If they were upstyled, reworked, reimagined, remodelled. It’s true that there are some clothing that simply can’t be altered. It’s too difficult, too tricky, too time consuming, and just too damn hard. 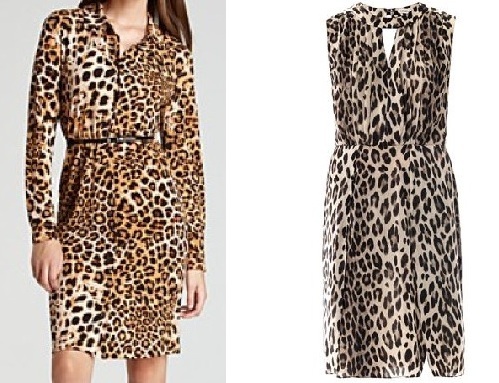 I remember purchasing an animal print jacket many moons ago (this was in my early “will I give in to my love of animal print, or try to hold back the tide?” days) that was one size too small. Don’t even say it – I know. I took it to my favourite alterations lady, a delightful and efficient Chinese seamstress in the bowels of Sydney’s underground commercial network to see if she could resize it one size bigger. She examined the garment, proclaimed it couldn’t be done, but after some pressure from me in the form of pleading mewling sounds, she said she would try. One day later, I returned to hear her verdict. There was not enough fabric in the seam allowance to let the jacket out. She would have to sew extra fabric or extra wide bias binding onto every seam and then resew the entire thing to make it work. And even then, she could not guarantee the outcome. Plus, it would take hours and hours of work and possibly cost more than the original item did in the first place. Lesson learned: Even with the efforts of a very patient professional with an almost limitless amount of time and patience (and budget), some things should not be altered. That said, a lot of items can be altered, very successfully. And in this two-part article, I’m going to share some examples of items that are easy to alter, and the specific alterations you can attempt yourself, or have a professional do that will cost very little. And in the second part, I’ll share my top strategies for extending the life of your wardrobe through easy alterations. One of the ways you can reimagine and rework a classic blazer is to shorten the sleeves. This will casualize the jacket, making it a great item for either a more casual workplace or for weekend and out-of-work wear. This is a great alteration to do if you have a blazer, or a few of them, that were once worn to a more formal job or workplace, that are made of quality fabric, in a great or serviceable colour, and is an item you like – but is just too formal or traditional for your life/style now. I have recently had a couple of lined blazers altered in this way, and they were less than $30 each for a professional to do. Even if your jacket has sleeve details, such as a split seam with buttons (as many traditional blazers and jackets do), these can simply be removed/cut off when the jacket sleeves are shortened. 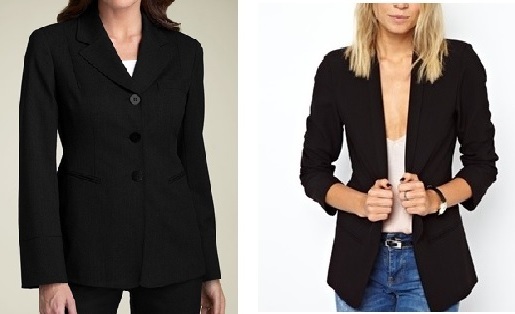 The difference a simple alteration can make to a tailoured and traditional blazer! Remember to have your sleeves tapered in as well – not just lopped off. This way, they will have a more slimming look, and appear as though the jacket was always with a three-quarter sleeve, not like the sleeve was unfortunately damaged somehow and had to be shortened. Consider changing the buttons on the jacket as well. If you had sleeve buttons, they will likely have been removed with the shortening and tapering, so you will only have the bodice buttons to consider. Be as creative as you feel like when changing buttons – they are one of the easiest things to change! Consider having the shoulder pads removed or a smaller set put in, if the jacket has an especially tailoured look around the shoulder seam. This will also make the jacket look like it was made that way (a casual jacket with a 3/4 sleeve, ie) and not had some random and isolated alteration done to it. Dresses can often be easily altered, depending on their construction and fabric. I recently removed the sleeves from a jersey dress – I wasn’t getting hardly any wear from it with the sleeves in, and knew I would get much more wear from it sleeveless. Which I have – I’ve worn it almost every week this summer, all made possible with one simple alteration which I did myself. If the dress is unlined, it is especially easy to alter. Some jersey fabrics don’t even require hemming – I have a number of jersey items (skirts and dresses) which are ‘unfinished’ at the hem or sleeve, which makes them super easy to alter – you just need some ideas, a steady hand and a pair of scissors! Jeans are an item that we often think can only be altered in minor ways – to have the hem shortened a wee bit to suit our particular height. I have shortened several pair of jeans over the years to Capri length – giving them a whole new lease of life especially in our tropical climate. Perhaps you have enough jeans, but not enough shorter pants? 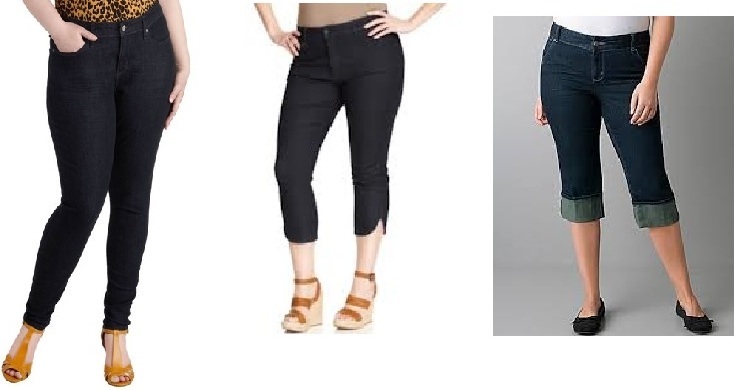 Perhaps you have jeans with a particular hem detail that you no longer like (too wide, too narrow, too detailed in some way)? If you have a great quality pair of jeans that you love the fit of around your body and through to the knee, but they aren’t working for you as full length jeans anymore, there are a number of ways you can alter them to give them a new lease of life. And in Part 2 of this article, I’ll share my top strategies for extending the life of your wardrobe, through easy alterations.